LESS than 48 hours from now, Nigerians will elect a new president. There is, understandably, both excitement and anxiety in the air. Whichever way the election goes, its outcome will be consequential. I am as excited as I was four years ago. This time in 2015, I had concluded that President Goodluck Jonathan was not fit for purpose and supported the then candidate of the All Progressives Congress, APC, General Muhammadu Buhari. Today, I have also concluded just as I did four years ago that President Buhari is not fit for purpose and I am determined to ensure that as Jonathan was sent back to Otuoke, he is sent back to Daura. There are two groups of Nigerians opposed to Buhari’s re-election. The second are those who believed that Buhari was actually a democracy-convert as claimed, who had purged himself of unbridled nepotism and could actually provide the leadership Nigeria sorely needed, despite his antecedents. I belong to this group. I had just left secondary school when Buhari shot himself to power on December 31, 1983. At the time his colleagues dislodged him from his high perch on August 27, 1985, I was in the higher institution. So, I knew firsthand what he did in the 20 months he was in office as a maximum military ruler. His regime’s warped economic policies, particularly the curb on imports led to job losses and business closures. I witnessed the disingenuous introduction of a new currency supposedly to tackle corruption and the consequence. Prices rose, living standards fell, and Nigerians were queuing up for essential commodities. I witnessed the retroactive application of a law under Buhari’s watch leading to the public execution of three young Nigerians convicted of drug peddling, a crime that did not carry a death penalty at the time it was committed. But I believed him when he said he was a changed person. I convinced myself that he would put together a formidable team and provide the disciplined leadership that was sorely lacking in the preceding administration. At 72, I reasoned that Buhari must have purged himself of every vestige of ultra-ethnic agenda, having fully come of age. Some Nigerians are of the view that in spite of everything, President Buhari will be re-elected. In arriving at this conclusion, they deploy illogical reasoning and hackneyed permutations, ignoring the fact that unlike in 2015, Saturday’s election is a referendum on the Buhari presidency. Try as hard as APC is doing to put Jonathan on the ballot, truth is, he is not and cannot be. Besides, the conditions that made the 2015 Buhari victory a fait accompli have changed dramatically. In 2015, Jonathan’s candidature united the North behind Buhari. The support from the South West became an icing on his victory cake. But even at that, Buhari won the presidential election with only 2.57 million votes, scoring 15,424,921 votes (53.95 percent) of the 28,587,564 total valid votes cast against Jonathan’s 12,853,162 (44.96 percent). In 2015, Buhari received 2.4 million South West votes, with a plurality of 600,000 over Jonathan. Even in Lagos, with all the noise and the fabled Bola Tinubu factor, APC prevailed with only 160,000 votes. In 2015, Jonathan ran on his records and failed because Nigerians didn’t think much of the scorecard he presented and Buhari ran on promises, propaganda and lies. Now, that paradigm has shifted. After four years in office, Buhari will run this election not on promises, innuendoes and propaganda but on the record of his achievements in office. The simple but important question that will agitate the minds of discerning, albeit ordinary, Nigerians as they cast their ballot on Saturday is: Am I better off today than I was four years ago? Buhari lost the South East and South-South zones in 2015 when the crocodiles were not smiling and pythons were not dancing. Things have changed dramatically since then. Today, pythons are busy exhibiting new and fatal dance steps in the South East every year with dire consequences for beleaguered youths of the region. When Buhari won the presidency in 2015, the Shiites were part of the 15,424,921 that made the victory possible. Before the election, Kaduna State governor, Nasir el-Rufai, led Buhari to visit the leader of the group, Sheikh Ibrahim Zakzaky, at his Kaduna lair to seek support. He was obliged. A lot has happened since then. In 2015, the Zaria massacre occurred during which 348 Shiites (some accounts put the number at over 1000) were killed by Nigerian soldiers and buried in mass graves. The dead included three children of Zakzaky. Since then, he has been locked up together with his wife even when the courts have granted them bail. In April 2018, clashes broke out as the Nigeria Police fired teargas at Shiites protesters who were demanding the release of Zakzaky. The clashes left many dead and several others injured. The police detained at least 115 of the protesters. In October 2018, Nigerian military again killed at least 45 peaceful Shiites protesters. Today, el-Rufai, the President’s Man Friday has exacerbated the distrust between Christians of Southern Kaduna and Muslims in the state. Benue, a stronghold of the PDP had no IDP camps before 2015. They voted for Buhari, elected an APC governor. Today, thousands of indigenes live in IDP camps in Makurdi, afraid to go to their ancestral homes that have been taken over and effectively occupied by armed herdsmen. 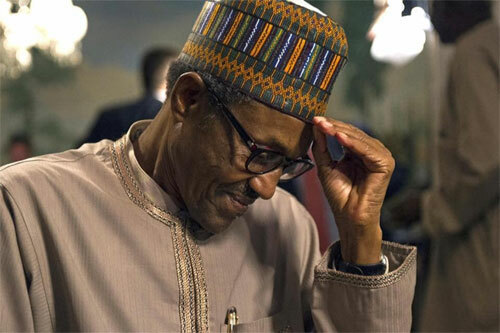 In 2015, the ubiquitous and very powerful college of retired generals that have determined how the political pendulum swung since the first military coup of January 15, 1966 were in Buhari’s column. Today, many of them, including Olusegun Obasanjo, Ibrahim Babangida, Theophilus Danjuma, Aliyu Gusau, are not. And some people say it does not matter. Really? In 2015, some of the country’s most prolific and powerful columnists were with Buhari. Today, the likes of Farooq Kperogi, Sonala Olumhense and Dele Momodu have openly rebelled against him. In 2015, the international community, particularly the U.S. under President Barack Obama’s watch and Britain with David Cameron as Prime Minister, overtly supported Buhari. I doubt if those countries are still queuing behind him today. In 2015, Buhari contested against Jonathan, a Southern minority Christian with no political base. Today, he is running against one of the most formidable politicians in this dispensation, a man with a solid political base, clout and deep pocket, a Fulani Moslem, from a region – North East – that last held power when Alhaji Tafawa Balewa from Bauchi State was the Prime Minister in the First Republic. In 2015, APC went into the elections as a united, pragmatic and determined party hungry for power, eager to make a resounding political statement against a highly fractious, disorganised and disoriented PDP. Today, the reverse is the case. A strong, rejuvenated and virile PDP is going into Saturday’s election with a highly fractured, hemorrhaging APC where some governors are not in talking terms with the national chairman, Adams Oshiomhole. In 2015, it was the PDP presidential campaign convoys that were stoned, booed and jeered. Today, it is the APC. On Monday, President Buhari nearly took a stone meant for Oshiomhole at a campaign rally in Abeokuta. Yet, some people insist that Buhari still has his fabled 11 million votes locked up somewhere. PDP has been able to dramatically reinvent itself and stage a remarkable comeback, APC cannot because of its inherent contradictions.